Wednesday, March 28, 2012 7:00 p.m.
Lightman's novel Einstein's Dreams (1993) was an international bestseller and has been translated into thirty languages; it has been adopted at numerous colleges and universities for "common-book" programs, and has been the basis of more than two dozen independent theatrical and musical productions. The Diagnosis, was a finalist for the 2000 National Book Award in fiction and Reunion (2003) was a Washington Post bestseller; both were Barnes and Noble national college bestsellers. 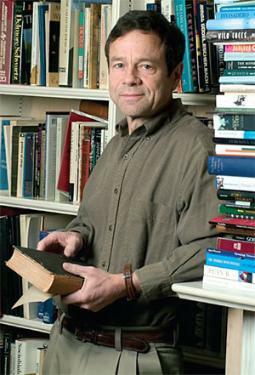 His most recent book, The Discoveries: Great Breakthroughs in 20th Century Science, was named by Discover Magazine as one of the ten best books on science in 2005.